We’ve got winter activity ideas galore! I don’t know about you, but when winter rolls around, my weekend plans essentially disappear. Maybe it’s because of the cold weather, maybe because of the slowdown after the holidays: either way, concrete plans to spend the weekend all but vanish. This last boring weekend was an example. 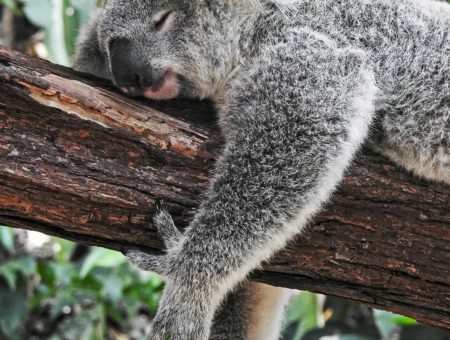 However, just because it’s still cold outside doesn’t mean that you should completely hibernate! Here are three winter weekend activity ideas (and outfits) to help you enjoy these cold weekends. Plan ahead and make this weekend awesome! When you can’t go out with friends, staying in is always an option! 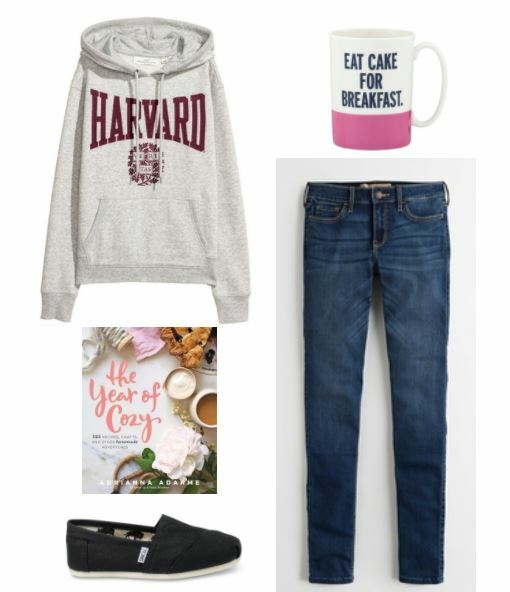 Whether you head to your best friend’s apartment or the dorm’s kitchen, staying comfortable and casual is a must when baking with friends. Capture this with your favorite jeans and a cozy sweatshirt (kudos if it has school spirit built in). Thanks to New Year’s resolutions, exercising is on everyone’s minds. With all the health benefits that come along with getting your sweat on, there’s no good reason to avoid it…especially on the weekend when you have nothing to do. 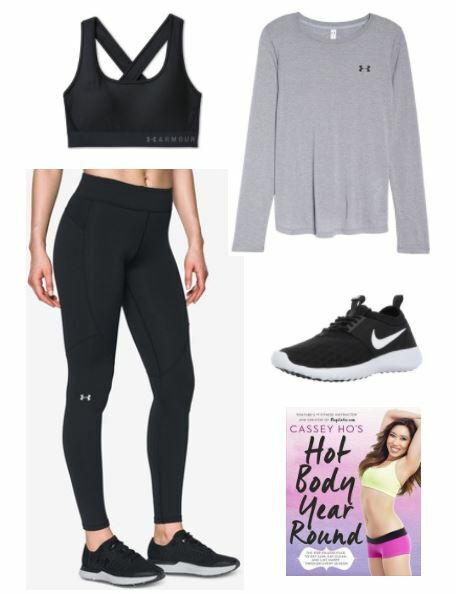 Whether you hit up the gym or practice Pilates at home, gear up with your trusty sports bra and favorite UnderArmour shirt. These leggings are fleece-lined so if you like to run outside instead of on the treadmill, no matter the temperature, you’re covered! Lace up your running shoes and you’re all set. Curl up in your favorite sweatpants and cardigan and spend the day how you like: reading, watching movies, FaceTiming with loved ones, even napping (a mood this t-shirt captures). 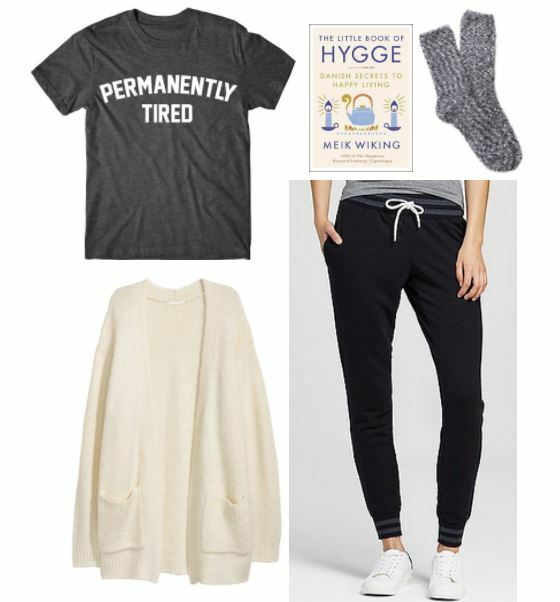 Slip on your coziest socks (the fuzzier, the better) and settle in for a moment of hygge. Are you tackling resolutions like a boss? Are you getting together with friends? How do you stay entertained (and warm) during the winter? Let us know in the comments below!